We were greeted with a welcome cocktail featuring the newly-launched take on a historic whisky: Haig Club. 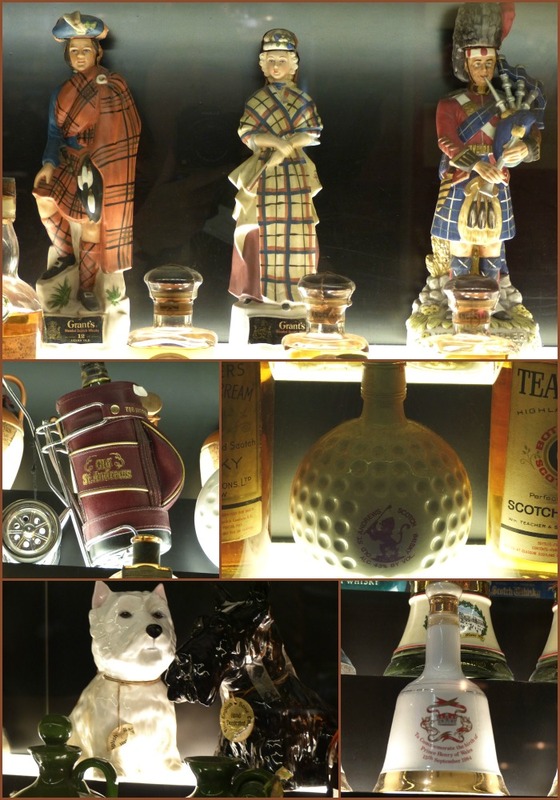 The Scotch Whisky Experience features the world’s largest collection of whiskies, collected by the Brazilian collector, Claive Vidiz, and during our visit we were able to see some of the older bottles of Haig whisky which form part of the 3,400 bottles in the collection. Nothing quite prepares you for the sense of wonder when you first enter the room containing the collection – so much to see! But we were quickly getting down to the serious business of the evening: testing our whisky knowledge to see if we could identify one of four whiskies which had been chosen for us to sample. Julie Trevisan Hunter was soon giving us pointers and suggestions to help us, but at this point I could only “nose” hopefully as I’d opted to drive. The group proved that we have a long way to go to become whisky aficionados. 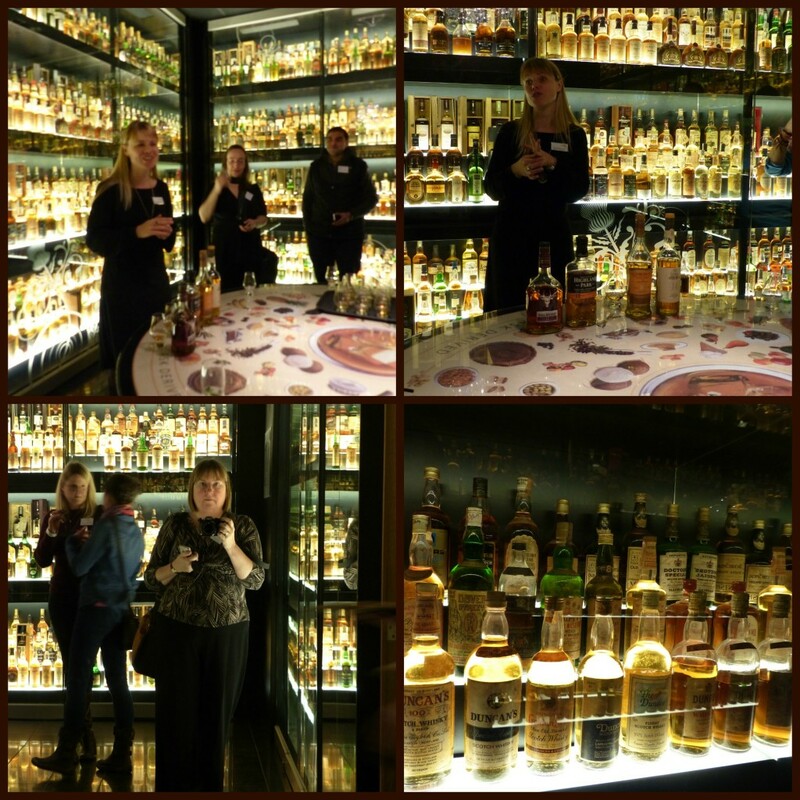 Our tutor revealed that we had been tasting Balvenie, Highland Park, Glenmorangie and Oban single malts. 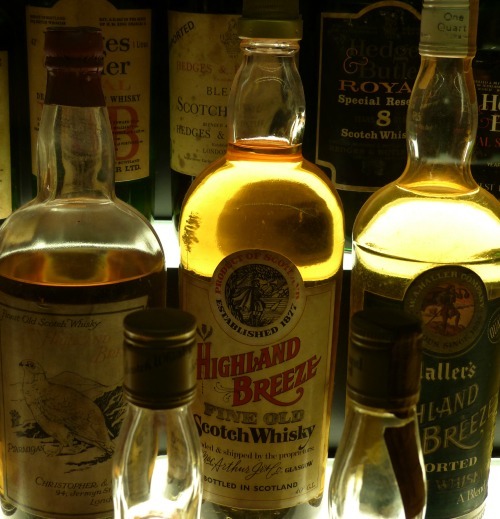 The connection between food and whisky was soon to be explored as the enthusiastic staff bore platters of Canapés perfectly matched with the areas of the four selected whiskies. 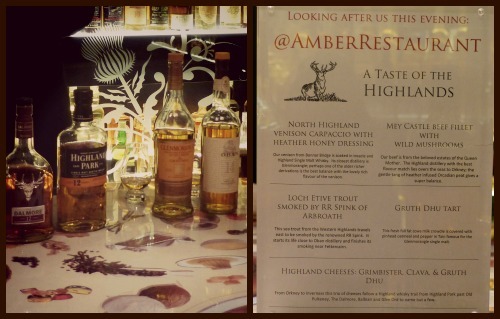 The Amber Restaurant at the Scotch Whisky Experience are masters of the art of pairing whisky with food. We were treated to North Highland Venison Carpaccio with Heather Honey Dressing, Mey Castle Beef Fillet with Wild Mushrooms, Loch Etive Trout Smoked by R R Spink of Arbroath and Gruth Dhu Tart – each morsel evoking delight from the assembled group. If you’d like to find out more, then Visit Scotland and The Scotch Whisky Experience have produced a series of videos which you can watch to learn more about pairing. Following our testing and tasting, there was time for me to take a few quick snaps of some of the quirky bottles in the collection – you can’t possibly take in the variety in one visit, so I’ll have to take time to return again. During our time at the Scotch Whisky Experience, we were all made to feel welcome and the enthusiasm of the staff shone out, even at the end of a long day welcoming guests from near and far. We were delighted to be allowed to continue talking and Tweeting for #EdinHour before Julie presented us with some keepsakes of our visit – a cute little Christmas Angel with a miniature of Royal Mile blended Scotch and a game card to take us off on a Whisky Adventure round Edinburgh. 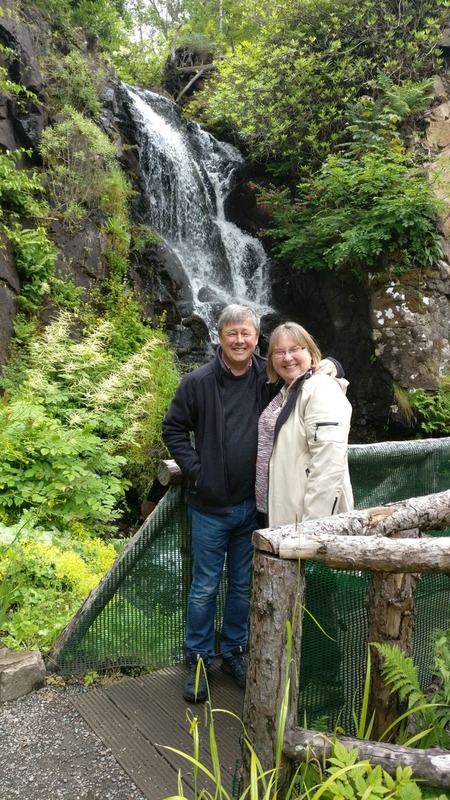 We’ll be off on a whisky adventure when that Highland Breeze calms down a bit! For our guests at Craigwell Cottage, the good news is that it’s a stroll downhill to get home after your visit. Regular Twitter chats featuring Scotland (#ScotlandHour), are ways to find out more about what’s happening around the country for visitors and those involved in Scottish Tourism. Pairing whisky and food – videos to watch: Salmon, Tweed Valley Beef, Haggis, Scottish Tapas, Cheese and Chocoloate.